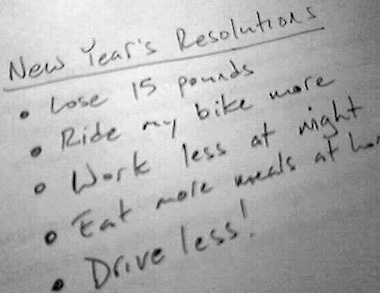 I’ve decided to do my New Year’s Resolutions by month this year for two reasons. For one, I can accomplish more with more specific, better timed goals. I also can look back at more concrete accomplishments than broad year-long hopes. They are simpler but better appreciated, I think. I also intend to start them in the signified month, but, if they carry-over, to continue them throughout the year. Below, see what I’m hoping to do, month by month. January – Pitch a single story idea to an editor every single day. February – Start a running routine for the Broad Street Run, and follow it. March – Decide where to live. Do I want to and can I buy? Where do I want to be during the summer? June – Participate in at least one stand up open mic. August – Take one trip somewhere. September – Join a community group wherever I am livng. October – Monetize one online side project: GrownAss, WDSTL, Hip-hop, or other. December – Month of reflection. Write resolutions for 2010. This page took 0.336 seconds of computer labor to produce.